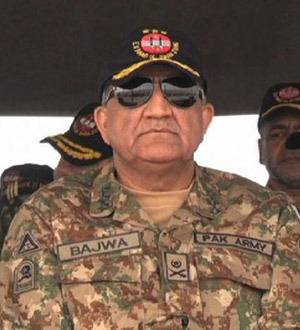 The Bajwa Doctrine was first mentioned by Asif Ghafoor, DG ISPR and later by Qamar Javed Bajwa, Army Chief himself while briefing a group of journalists and anchorpersons, but it is not documented as such. ISPR's job is to boost military's image despite its terror nexus and never having won a war. But strangely, elaboration of the Bajwa Doctrine came from an article by Kamal Alam working with Royal United Services Institute (RUSI), UK. But the over-exuberance of RUSI to boost Bajwa / Pakistan was given away by another concurrent article by Murtaza Al Shah titled 'Bajwa Doctrine' working well against US threats; glorifying Bajwa he is not Musharraf and the like. Sweet Jesus, so RUSI is privy Pakistan has withdrawn all support to Haqqanis and Taliban, withdrawn regulars and Mujahids fighting in Afghanistan, dismantled terrorist sanctuaries and sent the army back to barracks because Bajwa Doctrine says there will be no India-Pakistan war? Sorry RUSI, your perception building in run up to the FATF meet in coming June is very clear. There wasn't a squeak from RUSI when the same Bajwa last year kneeled down to Islamists from Tehreek-i-Khatm-i-Nabuwwat, Tehreek-i-Labaik Ya Rasool Allah (and Sunni Tehreek Pakistan (ST) blocking the Islamabad Expressway and Murree Road, with protests in Karachi, Lahore, Hyderabad, Gujrat, Faislabad and Peshawar. There were visuals of Major General Azhar Navid Hayat, Director General of Punjab Rangers distributing 1000 each to every protester, and endearing them by saying, "Hum Aapke Saath Hain." The video by Imaan Mazari (Shireen Mazari's daughter) widely watched in Pakistan, said, "Shame on the army. Because Pakistan Army only understands language used by terrorists like Khadim Hussain Rizvi, we should also use the same language and send message to army. Such force should be condemned for funding people who have always tried to promote terrorism in Islamabad and the rest of Pakistan. I condemn the army who disrespects our martyrs who laid their lives for fighting against terrorism... The army funds terrorists for making people's lives a hell. I again condemn the army as they still don't understand that supporting terrorism is destroying this country. Pakistan community has now become effigy on the hands of terrorists. They discuss, accept terrorists demand. Is this our country, our community? This force has destroyed this country." 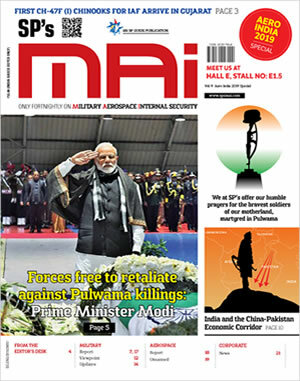 Due to economic compulsions India will be forced to dialogue with Pakistan in near future, hence, Pakistan must "wait and keep a watch on India. Wrong appreciation, even as China-Pakistan aim to limit India's strategic space and keep Indian economy down. Or is this dying declaration like Yahya Khan of 100 day war before signing surrender of East Pakistan? RUSI's elaboration of the Bajwa Doctrine, picture-painting it as 'the' homily of peace needs to be seen in the above context. It makes no difference to the British or the West how many are killed through terrorism in India as long as their own countries are spared. Remember Ashley Tellis of Carnegie Foundation penning in 2012, "India getting subjected to terrorism suits many... India is a sponge that absorbs terrorism." Not to be left behind, Washington Times said on January 6, 2016, "Just what the civilized world needs, a new front in the war against radical Islamic terrorism: Two terrorists were killed this week in an attack on the Pathankot Indian Air Force Base." But the bottom-line is that the Pakistani army cannot let go the jugular of Pakistan, for which it must continue hostilities across its eastern and western frontiers. China fully supports Pakistani terror export. This includes not only terrorist forces against India and Afghanistan but also AQIS chief Asim Umer who is Pakistani national, ARSA (Arakan Rohingya Salvation Army) chief Ata Ullah who too is Pakistani national, and other Rohingya terror group in Myanmar like Aqa Mul Mujahideen (AMM) which receives instructions from Pakistan's ISI. Pakistan's obsession for Kashmir is not going to abate. Christine Fair describes the situation beautifully: Pakistan's army has locked the country in enduring rivalry with India to revise maps of Kashmir and resist India's slow but inevitable rise; to prosecute these dangerous policies, it employs non-state actors under its ever-expanding nuclear umbrella; it started three wars with India but failed to win any; it supports insurgencies throughout India and country-wide Islamist terror campaign; from its distorted view of history, the army is victorious as long as it can resist India's purported hegemony and territorial status quo; because the army is unlikely to abandon these preferences, the world must prepare for an ever more dangerous future Pakistan. If the Bajwa Doctrine changes anything, it is a more radicalized polity in Pakistan; nothing more. Bajwa is promoting further the 'Quranic Concept of War', authored by Brigadier SK Malik of Pakistan army in 1979. Western think tanks like RUSI should be studying this book, as also crystal gazing future effects of the China-Pakistan-North Korea axes, with countries like Turkey and Maldives following in Pakistani shoes.